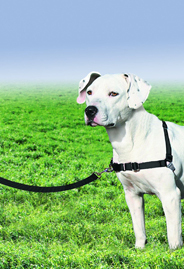 A dog leash that loops meant to give the owner increased control and minimize the dog’s tendency to pull on the leash. Great for seniors that need increased control over their pets to minimize fall risks. Especially useful for larger breed of dogs.